Augustin Hilario initially denied the theft, but he was caught red-handed on surveillance video lifting the award-winning singer's Louis Vuitton bag from an unattended luggage cart. 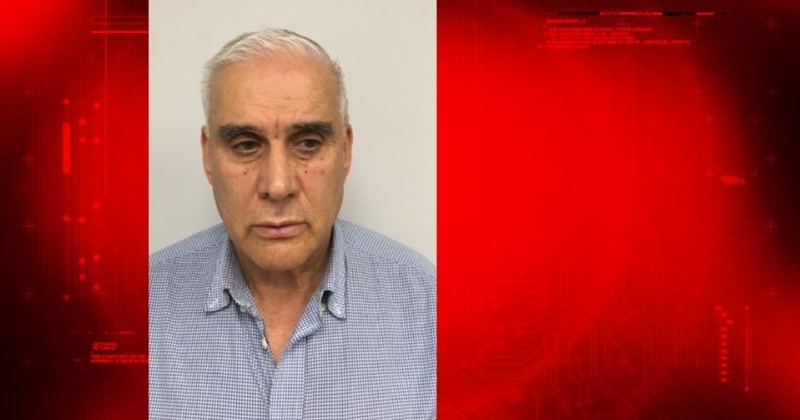 The 64-year-old cabbie claimed that he took the $3,000 bag accidentally, but surveillance footage showed him wheeling the cart to a more secluded area before grabbing the bag and fleeing. Following his arrest, Hilario told police: "I know I should not have taken it. I made a mistake. There could have been a bomb in there." During the trial earlier this month, Legend testified that the bag contained diamond-studded cufflinks, which were in the shape of a panther -- his high school mascot. The cufflinks held sentimental value to Legend because they were an anniversary gift from his model wife Chrissy Teigen. "It was a very special gift that my wife spent a lot of time looking for and was proud to give them to me,” he had said during his testimony. “It meant a lot to her, and it meant a lot to me that she went through that to gift them to me." The bag also contained $500 of clothing and a pair of sunglasses worth $500 -- all of which were later returned to Legend. via WENN.com -- After a week-long trial, which saw Legend testify against him, Hilario was found guilty of criminal possession of stolen property and now faces up to seven years in prison when he's sentenced on March 12. The jury came to their decision after "weighing all the evidence and hearing the testimony of the victim, John Legend", Queens District Attorney Richard A. Brown said. Luna is so cute ... those cheeks ?? Stealing is not a mistake. 30k cuff links? Oh my goodness, that hefty tag. I found a cuff link down the walkway from the restaurant on VDAY. I took back inside to the Hostess. It looked nice, probably not 30k nice, but I'm sure it was just as special. The cab driver, what was he going to do with him, do he not think he would miss them? They'd give a black man longer than that. His old azz knew better. $500 worth of clothing? was the bag empty? Maybe he just doesn't blow his money on expensive clothes. I don't feel sorry for these celebrities.Between the baggage handlers inside and outside the airport and taxi cab drivers there are too many sticky fingers to pack expensive items in checked baggage. Huh? Philanthropists are supposed to live like paupers? Yes cameras are everywhere these days. I used to be a cab driver in atlanta. Trust me his fellow taxi cav driver will turn their backs on him. He will lose his hack license go and go to jail. He better hope he american they will deport him after he serves time.
? They would give a black man two consecutive life sentences. Happy John was able to retrieve his items and justice was served. However, if he is going to travel with expensive items, its probably best to travel on a PRIVATE plane. This way the risk of getting his belongings snatched is slim to none. He might get years for theft from one of the elite while child pedo’s get probation. Something isn’t right here. He should have never touched the bag but 7 years? John(whom I met while working on a Smith family project) was so sweet, approachable, and honest with me about EVERYTHING. I have NOTHING negative to EVER say about him or his wifey. So which article of clothing that totaled $500 was he going to wear these 30k cufflinks on?....and since they are so valuable both cost and sentimentally why were they not in his carry on? I know plenty of people who get robbed and use the opportunity to claim things missing that werent even there. He seems like he's a down to earth type of person, he seems to be a real gentleman. I love him and his family. You and I normally don't agree on things but I have to agree with this question. People live up to their means. We ALL buy frivolous things. The biggest difference is my frivolous things cost a few hundred to a couple of thousand. His cost more, but they make way more. Either way no one wants to be stolen from and it's an invasion of privacy and makes you feel violated to an extent.